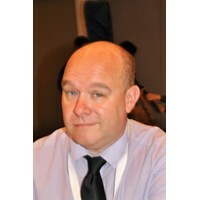 Russell Sherwood is a rising star in CC organisation; an active national delegate for the Welsh Correspondence Chess Federation, editor of the excellent BCCA magazine and regular contributor to the popular WCCF website, a member of the ICCF Executive Board as newly elected Marketing Director (having formerly been Non-Title Tournament Commissioner and Promotion Tournament Organiser), among many, many other roles. Russell currently holds the Correspondence Chess Master and International Arbiter titles. 1. Briefly Tell us about Yourself? 48 years old, married with two children (19 and 12) living in South Wales with the lovely Helen Sherwood. My career is in Continuous Improvement having been involved in a number of roles over the years. Beyond CC my hobbies include reading, writing, programming and spending time with the family. I used to be involved in Football (Soccer to the heathens!) both in Organisational, coaching and refereeing functions until a heart attack forced me to cut back on activities! I am still involved in Charitable organisations – mainly related to the distribution of lottery money to good sporting causes these days! 2. How did you get involved in Chess? I started playing at school, progressing to junior tournaments and the school team. I then played OTB at my wife’s (LGM Helen Sherwood) fathers club. 3. When and how did you get interested in Correspondence Chess? During the mid 90’s I dabbled with Postal Chess, which I found difficult as my career had blossomed and I was working long and unpredictable hours, often away from home. I then returned to CC, when I discovered email and later server chess, which did fit in with my lifestyle, which has always made regular commitments difficult. Around this time I started to get involved in Chess organisation in different organisations, although not with ICCF and WCCF until only a few years ago. 4. What do you like about Correspondence Chess? It’s flexibility is the main thing but also the wide variety of friends I have made in many countries both through playing and organising. I know some of my wider family find it strange that my Facebook friend list has so many genuine overseas friends! 5. What are your Correspondence Chess Career Highlights? I don’t really think I have that many! I’ve won as high as Category 6 events, although suppose my claim to fame is more about volume – in almost any CC database I will be in the top 10 of players in terms of total numbers of games played (not all on ICCF) and am probably the highest rated of that list. I suppose another highlight has been the opportunity to write that CC has given me – I am now completed around 200 articles for one publication of another. 6. What do you think an aspiring player should do to improve their game? That is a big question! Analyzing your results is a good start to figure out why you got the result you did. From this determine your improvement plan and then implement it , reviewing it regularly to correct course as necessary! 7. Do you have an overall strategy when you start a game or Tournament? Don’t lose – although this regularly does not work! My strategy is driven by my aims in the event – qualifying for the next round, achieving a norm, avoiding defeat. Once I have decided on this I will examine my opponents – both as a individual and through their games to come up with, what I think will be the best strategy. In practice this might mean something like (as white) – They score much worse against d4 than e4 but they like to play opening x which I don’t want to do, so I might then look at a transposition approach to get to the line I want and not the one they want. 8. How do you select your moves, what is your general method? Much depends on the phase of the game but it is a combination of differential analysis by a combination of engines and engine settings, Human strategic input and numerous Opening books and sources. Depending on the game I may also use a elimination approach – starting with the weakest move, eliminating it and the moving to the next one until I find something interesting. 9. With so many draws in Correspondence Chess, what do you try to do to generate wins? 10. What are your future aspirations in Correspondence Chess? I still have quite a few. On a playing front I want my S(IM) Titles. These are in distance if I start to implement what I tell others to do! On the writing front I have a Chess book to complete on Engine Analysis techniques, as for some reason I seem to know more about this than most of the others I meet! In addition to this I am looking to improve the quality and outlets of my publishing on all subjects! I love the organisational side of CC and am proud to take on the mantle of Marketing Director for ICCF. I have strong (and I believe actionable!) views on how CC should develop for the 21st Century. Finally I have been coding seriously for the first time in years and am enjoying working on both a CC – Analysis focused engine and one utilising Monte Carlo Tree Search. As you might guess finding time for all these things can be difficult at times! 11. What are your favourite Openings and why? A quick look through my games shows I have played almost everything over the years, with one omission – the French Defence due to an aversion to it from my OTB days, as I had a club captain who played it in the stodgiest manner possible! I have started to move towards, what are currently deemed “Anti Openings” and have started to look at the game in a far more strategic way. 12. If you could ask a legendary player, alive or historical, one question about Chess, what would it be? 13. Do you have a Favourite Chess Book or DVD? If so what? It is so hard to pick one! My choice tends to change quite often as I acquire new materials. I enjoy most of the Axel Smith materials and the Quality Chess books in general I believe are of a very high standard. 14. Do you have a Favorite player? If so who? It might surprise some of my opponents but my favorite player was the Magician from Riga, Mikhail Tal. I am also fond of Kasparov, who I consider to be the first of the modern generation of Chess players. Joop is a member of a new generation of organisers within ICCF and a driving force behind a resurgent Netherlands Federation. Always receptive and willing to work with others he is a great servant to CC! 1-Briefly Tell us about Yourself? I am 59 years, young. working in a Psychiatric hospital. I am married, with Marian, have two children, 17 and 18 years old. Of course in the first 25 years always it works with the postcards. Fabulous. Many chess friends from that time are my friends till now! I play chess since my 14, learning from a schoolteacher. I started Correspondence Chess at 17 so more as 40 years in the game! I like to do all things with chess. Play over the board, correspondence chess, organization, collect etc.…. Collecting! I have collected everything from chess. Chess books, chess cards, chess stamps.....And some of you may know that I was a great collector of all chess items. A few years ago I had 11.000 different chess books. Still, I have a huge collection but I have sold several items…..
6. What do you think an aspiring player should do to improve their game? Play games! More and more! It is the best way to learn. Of course also to study chess books, opening, middle game but don’t forget the endgame! In this years it is of course also possible with the computer. Study the position, one or two moves…and let the computer also run! Be creative. Not always the best engine move. That is not interesting! I am delegate and member of the Board of the Dutch Federation. I like this work. But of course, my members must vote for me. To Bobby Fischer: Would you like to play one speed-chess game with me?! Books with tactical positions to solve. Of course, Bobby Fischer and Garry Kasparov are great players. There is a “top-5-10”, who always should be mentioned, Alekhine, Botvinnik, Capablanca, Fischer, Karpov, Kasparov, Lasker, Morphy, Steinitz and Tal! Some of his methods will be familiar to Welsh players, having been shamelessly copied in our works! born in Slovenia. 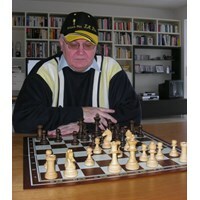 For the last 20 years, I have lived as a chess trainer and chess player in Germany. I run my chess school based in Roedermark, which specialises in the training of correspondence chess players. My training takes place via Team Viewer and a video is created for the customer for each training unit. I hurt myself in another sport and spent 6 months in bed, my grandfather kept me company and chess away the time. As a chess trainer, I realized in 2008 that correspondence chess is the best training method to systematically learn close chess. correspondence chess enables scientific research and systematic learning of all chess topics. You have enough time to look at everything systematically and also to prepare. I also communicate this to the members of my chess school. as a player, I am the fastest player who has needed the least time from the first game for standards until the GM title. As a coach and TC, it was important for me to win with the German women's team at the 10th Olympiad. 6.1. databases on games and theory updated monthly. 6.2. the possibility to learn the basics of chess. 6.3. access to good engines and try to understand and learn the way they play. 6.4. a solid PC with fast SSD M.2 hard disk and hash minimum 64 GB. each correspondence chess player must have a clear goal and strategy at the beginning of the game and tournament. My goal for the future is the development of perfect correspondence chess openings and the training of correspondence chess players. with white and black, I play aggressive openings that allow me the transition to a promising final. Basically, I strive for the Botwinik farmer structure. 12. If you could ask a Legendary player, alive or historical, once question about Chess, what would it be? 14. Do you have a Favourite player? If so who? James Robert Fischer because he fought alone against the whole world and turned chess into a well-paid sport. Today we are joined by Gino Figlio of Peru. For those who do not know of Gino he has been a stalwart of CC for many years, holding positions and being a driving force behind Peruvian CC, the South American Zone (and now the World Zone) and with ICCF itself. Gino gained his IM Title in 2001, his SIM in 2006. In 2017 he completed his IA and most impressive of all was awarded the Bertl von Massow Medals (Silver in 2012 and Gold in 2017) for long-time service to ICCF and CC. 1. Briefly Tell us about Yourself?. I am 57 years old, married, 5 grown children, 4 grandchildren, 3 dogs. Born in Perú, live in Lamar, rural Colorado USA. Work as a paediatrician. 2. How did you get involved in Chess?. When I was 5 someone organized a simul in our elementary school. I think I learned the moves shortly before that and even though I lost, I remember the master pointing me out to the school coach. After that, it all evolved naturally. 3. 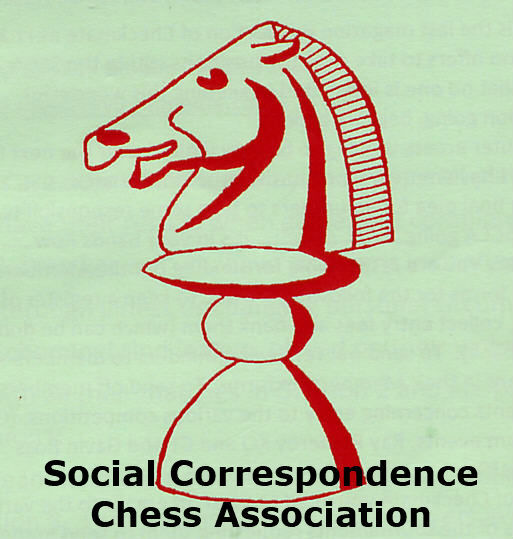 When and how did you get interested in Correspondence Chess?. Great way to continue practising chess while working in a rural area. 4. What do you like about Correspondence Chess?. 5. What are your Correspondence Chess Career Highlights?. I am just as happy about it as the day I started. 6. What do you think an aspiring player should do to improve their game?. It takes a lot of reading and practice. I think you learn more playing. 7. Do you have an overall strategy when you start a game or Tournament?. I steer the game toward opening lines that I believe to know better than most. 8. How do you select your moves, what is your general method?. 9. With so many draws in Correspondence Chess, what do you try to do to generate wins?. Analyzing all good candidate moves, not just the top three. 10. What are your future aspiration in Correspondence Chess?. 11. What are your favourite Openings and why?. The one that I know better than my opponent because it will likely bring me a win. 12. If you could ask a Legendary player, alive or historical, one question about Chess, what would it be?. How do you balance your life outside chess? 13. Do you have a Favourite Chess Book or DVD? If so what?. 14. Do you have a Favourite player? If so who?. I first became aware of Paul on the LSS server, one of the handful of Welsh players playing there. Paul had a fairly decent set of results and I was happy to see him start to play on ICCF. Paul is a dedicated player who is a man after my own heart in terms of playing and improving his own approach to CC. He will break the 2300 barrier on the next rating list and I am sure will continue to climb and break into the Welsh Team! Briefly Tell us about Yourself? Paul Keevil. Personal Injury Fee Earner for a firm of Solicitors in Haydock near Wigan where he lives. Paul is also a Professional Photographer who photographs Premier League and Champions League Football. He is a regular photographer at Liverpool, Everton, Man Utd and Man City and his images regularly are seen in both National and International Newspapers. How did you get involved in Chess? I was taught by my dad when I was 3 years old and then by my uncle. I joined Cardiff Chess Club when I was 12 and captained the successful Cardiff High School Chess team to many successes. When and how did you get interested in Correspondence Chess? I stopped playing OTB chess due to work commitments when I lived in Cardiff, but I always played online. After I moved to Wigan I briefly attended the Bolton Chess Club - A club that produced GMs Nigel Short and David Norwood - but other commitments proved too much. It was at that point that I joined the LSS Server and won a few tournaments whilst playing online. However, I felt there was something lacking and joined the ICCF last year. I have really enjoyed the ICCF and, in addition to the guidance provided to me by Austin and Russell, I have seen my rating increase by nearly 100 points in the last year. What do you like about Correspondence Chess? There are those who suggest that correspondence chess is just another name for cheating. Having really got involved over the last year I have come to realise that being a good correspondence player is more than just letting an engine play your game. It is much deeper than that. You have to know about the engines. What are there strengths and weaknesses? And more importantly are they recommending the best moves? I presently play with 4 engines and, on each move, these engines provide me with what I call “Candidate Moves”. So the question is which one is the best? This may appear an unusual question as 0.27 is clearly better than the rest. However, consideration also needs to be given to the opponents style of play and results in certain positions. Particularly those in the opening. These candidate moves I assess. Analyse quite deeply and make my choice. It is more than letting the computer play for you. It is about making sure you have the right reference database. It is about making sure you have the right strength opening tree. It is about preparation. What are your Correspondence Chess Career Highlights? There are many. My first norm at the Esko Nuutilainen Memorial was special and to achieve my second (and possibly the full title) at my home event WCCF 5th Invitational was special. In the WCCF 5th, I also had the pleasure of playing Pete Bevan. I have known of Pete for a long time. If memory serves me correct the first time I played against him was for Cardiff High School –v- Bishop Vaughan. I may be incorrect but that sticks in my mind. Anyway, whilst playing on the South Wales circuit Pete was always a person of good humour and well liked. I played well and won but, and the result was a nice step towards what I hope will be my title, but the highlight was the way in which the game was played. What do you think an aspiring player should do to improve their game? In simple read the articles of Russell Sherwood. For me the online suggestions, suggested by Russell, are the reason why I am nearly at 2300 and have achieve the norms that I have. I first met Russell on the LSS Server and instantly became intrigued by his preparation which appeared to be over and above anyone else I had played. Russell then moved to the ICCF a few years ago and I moved last year. Realistically I am probably two years behind him but I am hopeful of catching him up at some point. Do you have an overall strategy when you start a game or Tournament? In respect to the second point – that is only possible through continually improving your preparation. How do you select your moves, what is your general method? I analyse these moves and make a decision as to which I consider the most appropriate for the game and the opponent I am playing. With so many draws in Correspondence Chess, What do you try to do to generate wins? There is no point including games that are 2300-v-1600 because the results in the database will often be skewed – no offence intended here to aspiring players. This opening book helped me get to around 2300, however, I do feel that it may not be sufficient to give me that vital edge to take me towards 2400. What are your future aspirations in Correspondence Chess? To beat Russell Sherwood at least once haha! What are your favourite Openings and why? When I played OTB I regularly used to play the Catalan. At the same time, Charles Summers (Cardiff Chess Club) was reviving the Blackmar Diemer Gambit and with some success. Also, an old friend from school, Mansel Davies, used to play the Evans Gambit. Each of these is fun, however, and this is solely my opinion, to achieve a certain level you have to concentrate less on what openings you like but more on looking at your opponent's weaknesses and picking openings that expose those weaknesses. If you could ask a legendary player, alive or historical, once question about Chess, what would it be? Anatoly Karpov was my hero. When “Tolya” was growing up he once replied, “If you do not believe you can win there is no point taking part”. I have used these words throughout my life as a chess player and also in the professional world. Sometimes it has caused me problems. But it has done me more good than bad. In 1986 I had the good fortune to go to both Moscow and Voroshilovgrad (Now Luhansk) which is Cardiff’s twin city. I was fortunate to visit the famous Moscow Chess Club and, whilst in Voroshilovgrad, I was lucky enough to meet and play against GM Gennady Kuzmin at their Palace of Sport. Gennady ultimately became a trainer to Ruslan Ponomariov when he became the youngest World Champion in history. Russian chess has changed since the collapse of communism. Do you have a Favourite Chess Book or DVD? If so what? Use the internet. That’s what its there for! Do you have a Favourite player? If so who? All-time favourite player has to be Anatoly Karpov. Today we are joined by an up and coming star of CC, Ivan Panitevesky, both in playing and organising terms. 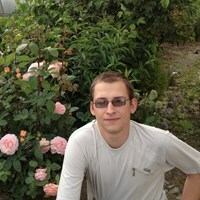 I'm 27, single, live at the Sakhalin island, Yuzhno-Sakhalinsk town. I love chess, especially by correspondence. I've been playing chess for 15 years (corr chess from 2009 started from play with my friend and then at bestlogic.ru). I have a technical secondary education, currently working computer technician in a geological surveys company. I live in a private home with my family (my parents and brother). We have own fruit and vegetable garden, 5 cats and one dog. What I like in chess (and sports in general) is fairplay and friendly games. In chess, I learned to play with my grandfather. In 2003, I started buying chess books and solving problems. Quite quickly my hobby was the examination of the progress of the games of the great chess players of earlier eras. Then I went to the chess club, where for a few months I approached the candidate's standard for a master of sports (but could not get it). Entering the technical school, after classes I stayed in a circle of chess players and played with a teacher in mathematics, as well as with students. Since I did not have enough time to play over the board chess, I started playing on the Internet. Started with the bestlogic.ru site. 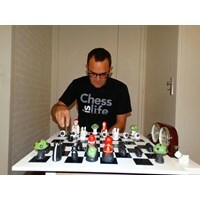 I found several chess Internet resources and forums, I learned about the possibilities of the game by correspondence. Six years i played at the Bestlogic, then began a career in the ICCF. I want to note that my main method of choosing the move is manual work. Before I make a move, I carefully check all nuances on the computer and even if it advises me on an idea that I do not like - I will not do it. Often you have to choose between several solutions with approximately the same eval. The most important thing here is what move and variation I like personally. I'm 27 years old, I love chess by correspondence and play for fun. With the help of my grandfather, who instilled a love for chess. It happened in the early 2000s. I knew about this on the Internet. I like that you can communicate with players from all over the world. That you can make a move at any time, very convenient time controls. You can achieve a lot without leaving home. I was able to qualify for WCCC Candidates, get a rating of 2500+ and the SIM title It means a lot to me. it seems to me, you first need to love chess, and then make every effort to improve. Everything will turn out. Also to improve - it is important to play with a stronger opponent. My main strategy is not to rush anywhere. This is basic. And, of course, to a particular tournament, I put a specific goal (for example, play sharply or calmly). And I prepare for each opponent separately. The main thing is not to make a move, based only on the engine's opinion. My main method is for every move made to make me trust. To do this, we have to consider many options and possible responses of the opponent. Of course, for this, you need to play sharp openings! For example, the King's Indian Defence. This is the best way to achieve results! It is also very important to put small traps in which the opponent can get caught. It can be a subtle strategic trap, based on nuances that are inaccessible to the engine. I plan to reach the WCCC final and also become a grandmaster and ICCF International arbiter. it is King's Indian Defence. Because in this opening there is a very lively game. Engines do not understand how to act, and there is a lot of room for human creativity. Even with black pieces against very strong opponents, I have a chance to seize the initiative! If this is a player of the past era, I would ask if he believes that there will be a computer in future that human cannot beat? And if this person live is our age, I will ask if he believes that there may be a person who can beat a modern computer? Chess encyclopedia (Vladimir Linder, Isaak Linder). My favourite chess players are Garry Kasparov and Mikhail Tal. Their books, their games helped in my becoming a chess player. Marc is a prime example of why Welsh CC is in such a good position, always first to volunteer for team events and representing the backbone of players in CC. For his pains he is also Chairman of NATCOR! 57 going on 58 year old male Rugby referee, Rugby club treasurer and retired Driving instructor. Married. Wood pusher who is going through a bit of a purple patch in chess. It must end soon. 2.How did you get involved in Chess? Fischer Vs Spassky captured me way back in the 1970s. The cold war battle of the Titans. After getting slaughtered in my first tournament (0/4) I decided I needed practice and playing for a club was not possible at the time. You can fit it around your life. You can also make such great friends the world over. I’ve won a few tournaments and this year I’ve broken the 2000 barrier. That was a proud moment. Even if (when) it starts to go back down, I got there. But more important is the friendship. Study the middlegame and the endgame. That should tell you what you want from the opening. 7. Do you have an overall strategy when starting a Tournament? Try not to make stupid moves. If you are going to lose be outplayed rather than blunder. I generally play by feel. I tend to get lost in deep calculations. An area I need to work on If I want to improve more. 9.With so many draws in Correspondence Chess, what do you try to do to generate wins? I like gambit lines they tend to provide imbalance and thereby chances. Keep playing at my current level and maybe improve a little bit more. With Black the Pirc. I tried it many years ago and I like to minimize learning new openings. With White Goring Gambit Reason? It’s fun and I’ve had a fair success rate with it. Fischer. Why did you blow it? “My System”. I have it in English notation. I don’t understand most of it. Viktor Korchnoi for his sheer bloody mindedness. It’s very difficult finding a chess player who can be compared with Craig. He is widely regarded as a creative genius and one of the best-attacking players in Wales. In recent years strong OTB players even Grandmasters have struggled to hold him even to a draw. He has also added to his chess an almost impenetrable defensive playing style, making him rather difficult to beat. He is also a world authority on unusual openings before the rebirth of correspondence chess in Wales; I played numerous friendly correspondence chess games with Craig, and never quite managed to win one. Craig is already near 2350 in a short space of time, and it would be a surprise if he is not over 2500 in the very near future. 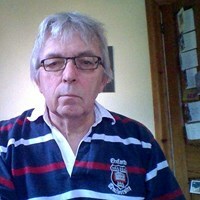 His wit and wisdom in his writing brings colour to our Correspondence web site. I remember a few years ago and Craig was our OTB County captain and we did the Gwent wash beating Gwent 12-0. We were having a celebratory drink in the bar downstairs, and realised we had lost Craig? When we found him, he was tidying up the chess room and sweeping the floor. He is a genuine Mr Nice guy. Big fan of gambit style OTB chess, but he has realised with computer engines most of these don't work and you will get egg on face trying them out! 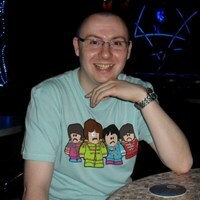 I'm 34 years old, a mathematics teacher from Llanelli in South Wales, married with one child. Besides chess, interests focus mainly on music (I'm borderline competent on piano and guitar, and could get a tune out of most things), sport, and going to comedy gigs. I'm not entirely sure! I learnt how the pieces moved from my brother when I was around 11. I went down the local chess club in Llanelli when I was around 13, stumbled upon a book of Morphy's games being sold off by my local library for 20p at around the same time, and somehow became hooked. I've been playing OTB chess for over 20 years now, and despite repeatedly saying it was time to give it up, I don't seem to be able to break the habit! I played on the IECC when I was a 'youngster' (just after I'd finished university), but never really found it to my taste. I'll be honest, I only took it up again after being 'hassled' by a certain Ian Jones, who told me how much I would love it. I think I gave it a go just to keep him quiet (which those who know him will understand to be a futile task! ), but, again, seem to have become stuck in the habit! Partly, I suppose, the time aspect - OTB I've always been notorious for bad clock management, so having a few days or more per move helps! Secondly, my memory in recent years has not been what it used to be, so CC means I do not have to try and remember all of my opening theory 20-odd moves deep, and can spend more time thinking about the position instead of frantically trying to search my memory banks. Finally, whilst I understand some people take it very seriously, I find it far more relaxing (and less stressful) than OTB competition - I'm mainly out to enjoy myself, and am less often needing to try my hardest with a team's result on the line! Retirement (though I haven't gotten there yet...)!? More seriously, the 4th Welsh Correspondence Chess Federation Invitational has been an enjoyable event, I've met some fantastic people who I've remained in touch with, and I've scored very well to secure the CCE title and a CCM norm. I should secure the CCM norm in the next few months, which I suppose will be another highlight, but I'm still very much in my CC infancy at the moment! One other thing I have enjoyed is becoming the resident analyser of games for the WCCF - a duty I tend to take less than seriously. It's nice poking gentle fun at chess games and their protagonists, and I hope so far I've not caused too much offence! In CC, openings are critical - unlike OTB, if you drift into a poor position you are unlikely to be able to trick or bamboozle the opponent. So selecting openings wisely is important, both to avoid lost positions and to avoid completely stale ones (unless the tournament dictates this would suit you!). Engine use is also part of the game and, whilst some people prefer to play without them, the reality is that they handicap themselves greatly. Learning to understand and use engine evaluations wisely is critical beyond the 2200 level. Make some moves! I'm not one for studying my opponents in detail (I'll occasionally check what they've played in the past, and if I see something they play that I like I'll head for it, or avoid if I don't), and just tend to trust that I will make reasonable choices in the opening against each player. It's probably why I won't get much further than I've made it now! Depends on the position entirely. If I'm in some sort of sharp tactical position, then the majority of the work is guiding the computer, giving it time to consider the possibilities, occasionally suggesting moves which do not appear on it's radar (as much for my own chess education as to why they are bad - though I've occasionally stumbled upon some good ideas) and checking that the engine evaluation seems consistent. In more closed, positional games - well then the engine tends to be far less use, as 0.00 doesn't tell you much! Then you have to think about the plans (which are usually connected to the opening systems you've played), and again guide the engine carefully when using it. In the openings, obviously databases are a huge help - I look at the main Chessbase Live database (mainly for new ideas played at super-GM level I may have missed watching tournaments), and keep a few separate CC-only openings databases. A difficult question. I've not beaten many players over 2200 yet as a relative newbie, so it is still something I'm working on - but the choice of openings is vital. Playing the Poisoned Pawn Najdorf might seem fun, but you're going to draw almost 100% of these games. In a current tournament, I'm trying some riskier openings (Dutch Defences, Modern Defences etc) as black, in a few tournaments I've risked rare gambit lines, but all of these are very risky at high-level CC. It mostly seems to be a combination of playing openings that give long-term potential and knowing your theory well enough to know when the opponent may have made a mistake (that the engine doesn't recognise!). I'm not sure I have any! I'll keep playing, and if I stumble upon success much the better, but I find that setting myself arbitrary targets tends to lead to failure! I'd like to test myself in some super-strong tournament someday, but first I have to somehow qualify for one! Most of my favourite openings are ones I couldn't play in CC! OTB I've always loved playing things like the Morra Gambit, Blackmar-Diemer Gambit, Belgrade Gambit etc... but I've learnt quickly and painfully that these do not hold up well in CC. Probably Carlsen, and if he could teach me everything he knows. That would probably help a bit! In my youth, my Morphy Chess Masterpieces book was my absolute fave! Probably Tony Miles' autobiography, It's Only Me, has had the most effect on me as a chess player however. I've always had a thing for crazy openings. As such, certainly in recent times, I've always tried to watch out for Jonny Hector. Also, an obscure Latvian player called Alvis Vitolins - played some very unorthodox sharp lines and scored some crushing wins against the strongest players of his time back in the 70s and 80s. Anyone who plays interesting chess is someone I am happy to watch! Gordon hails from Glasgow and is now based in Nottingham. He’s had a long career in financial services which gives SCCA great experience on which to draw – he’s been an excellent treasurer for us since 2008. Gordon has been a CC player since the late 1990s, and has held a 2300+ grade since 2009. He was awarded the Scottish Master title in 2012 after achieving three rating norms, and also picked up ICCF CCE and CCM norms in 2017. He’s an active organiser, both in SCCA domestic events and internationally, and was awarded the IA title in 2014 after acting as TD throughout Veterans’ World Cups 2-4 (these were sponsored by the SCCA). After the untimely death of George Pyrich in December 2017, Gordon stepped forward to take on the mantle of international secretary as well as treasurer. He’ll make a first-rate ambassador for Scotland across the ICCF federations. Born in Glasgow. Married to Margaret with 2 adult children and 4 grandchildren. Work took me to London in 1987 and we moved with work to Nottingham in 1999. First career was in banking until 2002 and second was as a Business Consultant. Hobbies, chess, rugby, classical music and drinking good wine. Following the recent death of George Pyrich, I have become the Scottish National Delegate to ICCF. Mentioned to Russell Sherwood recently that I refereed rugby at International level and managed to referee at all of the home countries’ International grounds. Pleased to say that I retired from that activity a good number of years ago. The game has changed significantly since my days with a whistle. The pace is so fast and the collisions are massive. Learned to play when I attended secondary school. Allan Glen’s School in Glasgow had a strong side and a History master who was keen to encourage boys to play chess. I got hooked and my studies suffered! There was a schoolmaster at Glasgow High School, Bernard Partridge who was keen on CC and it was through him and Allan Glen’s that I first played CC at the age of 14. I used to like the exchange of messages and making friendships. I had a Finnish opponent who supplied coloured postcards with every move and educated me about Finland. His postcards helped my children complete a school project. Sadly, today very few players engage in exchanging regular messages, indeed any messages, and I often wonder why they bother to play CC. Courtesy encourages me to write a short message with my first move and depending on the response I try to keep the communication going. I have been quite fortunate in both the last Olympiad and the European Team tournament, where I represented Scotland, I had a number of my opponents who have communicated with reasonably regular messages. Playing for Scotland, made very special when I manage to win some games! Possess a good database, play through annotated games and read books they think will help them. The latter is a difficult task. Recently I have been reading Jacob Aagaard’s ‘Positional Play’, Herman Grooten’s ‘Chess Strategy for Club Players’ and Boris Gelfand’s Positional Decision Making in Chess. I found all of them really helpful, for different reasons but they won’t suit everyone. I always research my opponents and try to find out what they play. I try to play through all of these games but don’t always succeed-sometimes I can’t find any games they have played. That just tells you my database is not as comprehensive as it needs to be! I will not deal with the opening since much of that is personal to each player and each will have their own approach. Out of the opening, I try to follow Aagaard’s recommendation and ask myself 3 questions. Firstly, where are the weaknesses? Secondly, which is the worst placed piece? And thirdly, what is my opponent’s idea? Having asked these questions, I look at my previous notes on the game in question to help me remember my plan (and previous analysis) and assess whether it is still fit for purpose or has my opponent created a need to change plans. I then look for what Kotov called ‘candidate moves’ all with the aim of finding 3 or 4 possible moves. Obviously, my silicon friend plays a part at that stage, but so does my brain and instincts. In recent years I have slowed down my response time and take more time to consider moves. As a TD I do find it amazing that some players finish their games before the start date arrives in a tournament and have played about 30 moves before agreeing on a draw. I try to create positions that are not particularly helpful to the engines but I also attempt to play openings which can lead to weak squares in my opponent’s camp. Not easy but I did win a game a year or so back where my opponent had a weak P on c7 with a half-open file. It took time but was very enjoyable from my perspective. Would like to gain IM title. Have missed two norm opportunities by half a point in each case. Frustrating but keeps me trying, although winning a game is a real challenge due to the influence of computers. I have played the French, Winawer poison pawn variation as black for over 50 years and have had great results apart from a setback now and again, but not recently. Not too sure I will continue to play in future since some recent games I have reviewed have led to spectacular wins for white. As White, I have for years played either a QP or the English. Could you spend some time with me to help me become a Grand Master? Yes. M. M. Botvinnik. I played him in a simultaneous display when I was 16. I lost but was second last to finish. I had a good position for a long period but as the numbers still playing reduced to single figures he just appeared, moved and then seemed to re-appear so quickly that I had no time to think!! 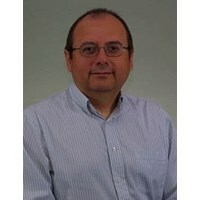 Phill Beckett is one of the “unsung heroes” of British Correspondence Chess; he has been the controller of the British Championship and the tournament director of the British Ladies Championship for many years. 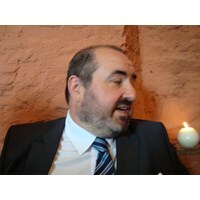 The current secretary of EFCC (England), he is a tireless organiser, who promotes CC nationally and in his native Yorkshire, as well as organising ICCF rated team events for members of SchemingMind.com from around the world. Phill represented England at the recent ICCF Congress in Bulgaria. 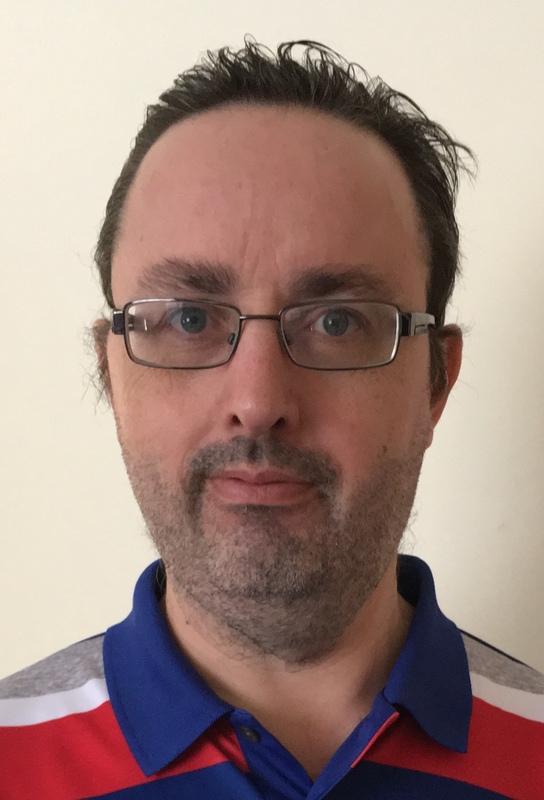 But Phill is not only a correspondence player and organiser, he is also involved in the OTB English Chess Federation; as a retired school teacher, Phill has an active interest in schools chess, and is also involved in problem-solving. When I went to University I was away from my normal chess club and picked up a copy of the old chess magazine and decided chess by post sounded fun! The key is the chance to study in great depth, to use the latest opening theory and with computer assistance avoid the terrible blinders associated with chess by post and email! I would describe myself as a pretty average player but a few highlights. recently achieving a norm in an event. Most of my real achievements are as a captain, winning the British team with White Rose, winning the Inter-counties. My preparation for team events is different, when you play in a team others expect you to do your best, so I will look, opponents, games and try to find weaknesses or choose the opening they have problems with. In individual events, my preparation is not quite as thorough but if I think I have a realistic chance of achieving something then I will do the same. With so many draws in Correspondence Chess, What do you do to try and generate wins? At the level, I play there are not too many, but I feel that sometimes players agree a draw too early eg in one event I am TD about 20 games have been drawn in less than 20 moves. The key is endgame play but too many players do not want to test their skill! I suppose subjecting a player to the Spanish torture gives me some pleasure. Although every so often I will unleash a Kings Gambit when I play over the board and the ensuing swashbuckling positions are rich in possibilities! If you could ask a legendary player, alive or historical, one question about Chess, what would it be? I have been lucky enough to meet Miles, Mestel and Nunn and had the opportunity to chat (in some cases briefly to them). I was at University with Miles and asked him why he won so many games from 'bad' positions (one hates to say his win against Karpov with 1...a6 falls into that category). His answer was quite philosophical @It is only a bad position if you lose and in every game, you will get at least half a chance, I am good at spotting those he said with a smile. A collection of Fischer's games was the source of many hours of research and enjoyment. I guess I would have to opt for Miles with his determination to extract everything from a position.